Lucky Apple were awarded the location patent which will apply to every smartphone product motorola make then isn't it. Also, Activesync from Microsoft would also infringe this patent? As the acceptance of selective call communication devices, or pagers, including two-way pagers, continues to grow, and as their affordability continues to improve, some users are acquiring pagers which have a same selective call address. Pagers come in different form factors or colors to complement a user's attire. Thus, the user carries one pager at one time with one apparel outfit and another pager at another time with another outfit. For example, a neon colored belt worn pager is used for a day at the beach, and a black and gold pen pager with a business suit is used for an evening business meeting. I guess it depends of what the meaning of "Pager" is. Apple could always not offer iCloud in Germany. So now Motorola owns the right to sync something with a server? Well, I guess Android users better get ready to kiss your maps app goodbye when Apple comes after you. you're confusing the RAZR (from 2004) that was a load of crap with the DROID RAZR (2012) which is actually not bad. Its supposed to have a screen just as good or better than the Galaxy SII. The thing that is irritating is that as Apple refines things that have been done by many other companies without complaints from the likes of Motorola, and solely because Apple finally makes it just work without any hoops to jump through the patent trolls come out from under their rock. iCloud is basically just the Internet with a new name and user interface. The Internet is not patentable. It may be getting to the point that all the parties beat each other up enough to realize the only good decision is call a truce. These suits aren't benefiting the mobile industry or consumers in any way. -Don't copy my look and packaging. At least be unique in design and presentation. -If you're using a FRAND-encumbered technology, approach the holder and arrange for licensing. -I have patents you need, you have patents I need. Rather than suing each other, let's make a deal. -If a patent troll is attacking one of us, understand you may be next on the list. Let's coordinate. I think this is about synchronizing technology, not internet. Could someone out there explain why Motorola is after Apple, yet not Dropbox, Sugarsync, and all other similar services? I don't know whose reviews you found negative. "So has Motorola succeeded in reclaiming the prestige that once belonged to the RAZR brand? Unequivocally, yes -- the handset is just physically stunning. It's thinner than almost any phone on the market and makes no sacrifices to attain its slim physique. It's solidly constructed from premium materials like diamond-cut aluminum, Gorilla Glass and a sheet of super-slick Kevlar. Few phones out there can even be put in the same category when it comes to build quality. It's not the most ergonomically sound handset on the market, but for those who cherish form over function (the very targets of a so-called fashion device), that's a sacrifice worth making." EDIT: I just noticed you claimed the RAZR as Moto's premier phone for next year. Rumors abound of one and perhaps two quad-core phones from Motorola as early as three/four months from now. I don't think they're sitting back and depending on the RAZR for 2012. Right but that is how the Internet works. I put a file on a server which is attached to the Internet and that file becomes accessible to anyone I give permission to, from wherever they are in the world, so long as they have a connection to the Internet. The words I just typed are now synchronized with everyone's computer as they read them. And every subscriber to this thread simultaneously received an email notification. I think the guy is wrong. 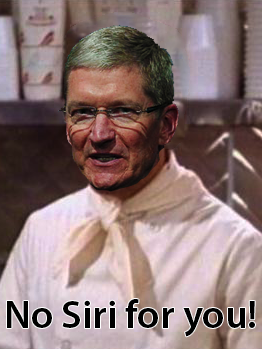 I think Apple will be just fine when the ruling happens on this case. Simply connecting to the internet at all would be an infringement. They can't win against Apple in the US so they go to Europe hoping that the German Government will take sides against Apple. All these law suits on other countries. What a poor way to try and slow Apple down. I imagine that Apple has a huge Leal team and spends millions upon millions of dollars to that legal team. Apple attitude towards Motorola and Samsung. Agreed. If the German courts want to cause major issues for apple then Apple can always pull out of germany and any other country in the EU. Apple is pushing for a huge bond on Moto's part because it has an ace in the hole. They are daring Moto to move ahead. Other reports indicate the judge doesn't agree with Apple's bond request valuation. Moto will move ahead. Apple will make a settlement offer that likely includes some exchange of IP, and both will settle their differences, at least for now. That's my opinion anyway. Of course they can. What do 500 million affluent customers matter anyway. You play with the bull, you get the horns. I have no sympathy for a company who is trying to patent the black rectangle. All this patent madness just needs to stop.